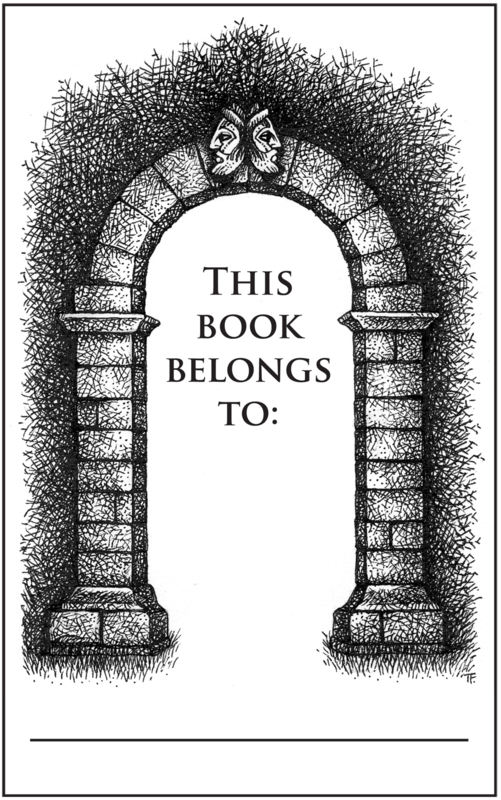 To help you keep track of all your books, I have put together some bookplates for you to print out, cut out and paste into the front page of your books. You could also paste the bookplate onto the front of a notebook, jotter or diary! This is Teresa’s original pen and ink drawing of the two-headed Janus arch in The Blackhope Enigma, the first book in The Blackhope Enigma Trilogy. Click on the image to download. 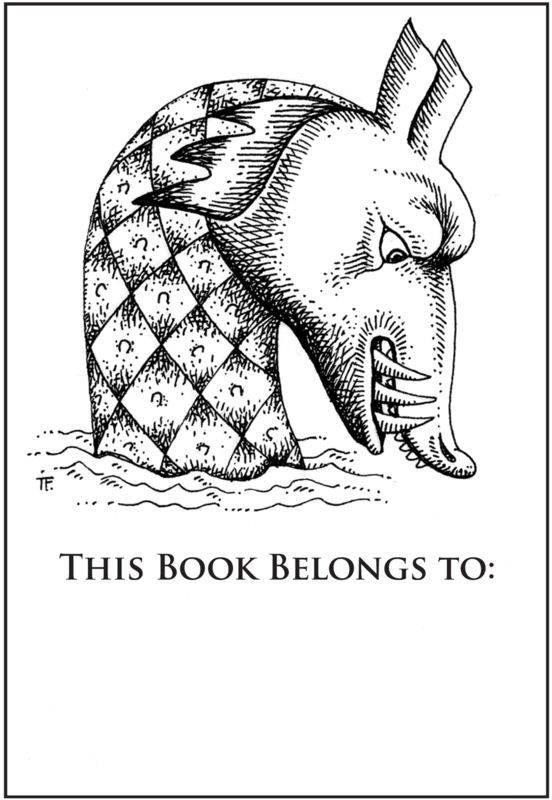 This is Teresa’s original pen and ink drawing of a sea monster from The Blackhope Enigma, the first book in The Blackhope Enigma Trilogy. Click on the image to download.